Israeli authorities, today, unveiled a new Jewish synagogue under Al-Buraq Wall – known to Jews as the Western Wall – in occupied East Jerusalem’s Al-Aqsa Mosque compound. “Following 12 years of construction, the new synagogue was opened on Monday evening,” the Heritage Foundation of the Western Wall, an Israeli governmental body, said in a statement. “The unique design of the prayer hall combines rare art and unique lighting, creating a wonderful contrast between ancient and modern,” the statement read. In recent years, Islamic institutions in East Jerusalem have lodged repeated protests over excavations being carried out by the Israeli authorities under the flashpoint mosque compound. In a statement, Sheikh Ekrema Sabri, head of Jerusalem’s Supreme Islamic Council and a former Al-Aqsa imam, stressed that the Al-Buraq Wall was a component of the Al-Aqsa’s western wall. “The wall is part of our Islamic heritage and will remain so until Judgment Day,” Sabri said, according to Days of Palestine. “All new construction by the [Israeli] occupation authorities in Jerusalem is illegitimate and lacks a historical basis,” Sabri said, adding that the holy city “cannot be partitioned”. In October 2016, UNESCO voted on a resolution which denied any Jewish connection to Al-Aqsa Mosque and Al-Buraq Wall in occupied Jerusalem. Tension has mounted in the occupied territories since US President Donald Trump recognized Jerusalem as Israel’s capital on 6 December, drawing condemnation from across the world. Yesterday the United Nationals Security Council voted 14 to one against Trump’s decision, however due to the US power of veto a resolution could not be passed against his unilateral move. 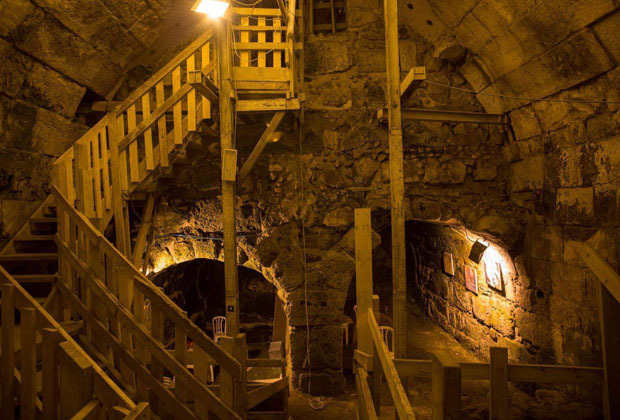 In related news, Israeli Culture Minister Miri Regev has suggested the government allocate NIS250m ($50 million) for excavation works to explore foundations of alleged Jewish Temple beneath Al-Aqsa Mosque. The excavation works are to be carried out beneath, near and around Al-Aqsa Mosque and occupied Jerusalem’s Old City. He called for efforts to confront Israel’s Judaisation policies because “Al-Aqsa Mosque is in real danger”. 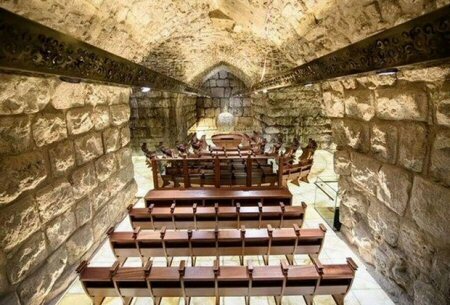 It is expected that the government, which has met inside one of the excavated tunnels beneath Al-Aqsa Mosque and decided to prepare a plan for extra excavation works, would approve the funds. Al-Aqsa Mosque is subjected, almost daily, to a series of extremist storm-ins during morning hours and afternoon periods in an attempt to impose the temporal and spatial division plan of the mosque. It is the third holiest site in Islam and also venerated as Judaism’s most holy place, alleged to be the original site of Solomon’s Temple. Disputes surrounding visitation to the site have historically flared tensions in the occupied Palestinian territory. However, settler attacks on Christian holy sites have been progressive, over recent years.